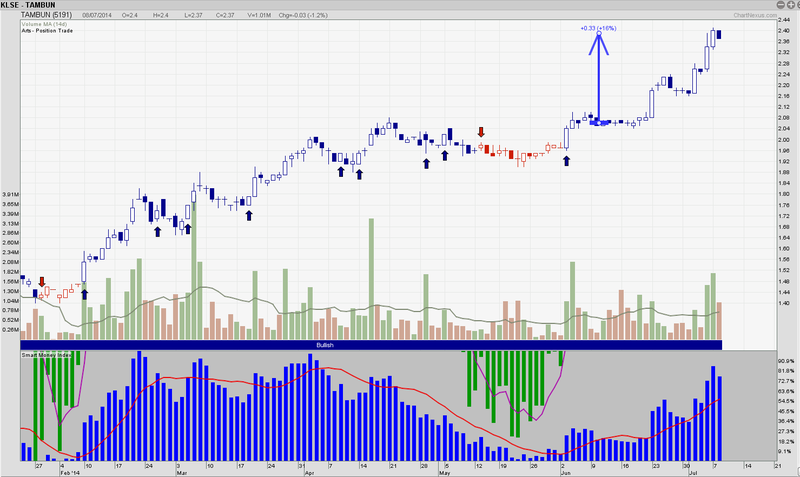 KLSE- TamBun Banker money coming in? One month later, Tambun indeed moved higher. Our method is not to buy and sell everyday, what we believe is to find a good trending stock and Rideeeeeeee it to the end. if you have good stock in KLSE that make really good money and want to know how our system can help you to ride the trend, do feel free to drop me a message.